Less than 46¢ per load! 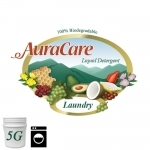 This environmentally friendly and completely and rapidly biodegradable laundry detergent will completely clean oils and other soils out your laundry. Less than 31¢ per load! A massage industry favorite that absorbs slowly into the skin allowing long lasting glide. It's also perfect as a carrier for AuraCare essential oils. The Almond Oil for massage has a thick, rich texture that provides a smooth, long lasting glide and is perfect as a carrier for essential oils. The Almond Oil has a thick, rich texture that provides a smooth, long lasting glide and is perfect as a carrier for essential oils. 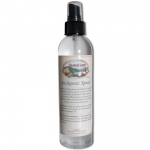 A soothing,healing spray formulated to penetrate deep into muscles, joints and sinews. A rich combination of Menthol, Peppermint, Eucalyptus, Wintergreen, Camphor and Rosemary quickly and naturally soothe pain and soreness. Extra Strength! 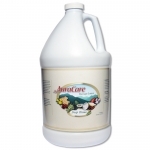 A soothing, healing spray formulated to penetrate deep into muscles, joints and sinews. A rich combination of Menthol, Peppermint, Eucalyptus, Wintergreen, Camphor and Rosemary quickly and naturally soothe pain and soreness in a convenient spray. Extra Strength! 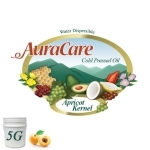 Apricot kernel oil is golden, mid-weight oil considered perfect for massage. 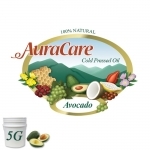 Avocado oil is a rapidly penetrating massage oil, rich in vitamins A, D and E, lecithin, beta-carotene and more than twenty percent essential unsaturated fatty acids. 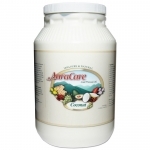 Our Coconut oil contains shorter chain fatty acids, such as lauric acid, so it absorbs more quickly to allow for deep tissue work. This extra thick and hypo-allergenic massage lotion containing sesame and grapeseed oil with white willow bark extract and vitamin E added to enrich and soak up free radicals. This is a very rich massage lotion that will provide extra long lasting glide while it moisturizes and conditions the skin. See random deals just for our Facebook followers. As well as a special coupon code just for being a fan of ours on Facebook.